NTSB Recommends Lowering Legal Limit on Drunk Driving from .08 to .05 – TAM Card® Nation in Vegas! Drunk driving continues to be a serious problem that results in over 10,000 deaths each year on U.S. roads; that accounts for one-third of all traffic-related fatalities (CDC). In fact, The Las Vegas Metropolitan Police department reported that drinking and driving arrests were up 18% in 2012 over 2011. That works out to approximately 30 DUI arrests every day in Las Vegas. Police, beverage service professionals, and community agencies work together each year to combat the problem through a mix of education, safe beverage service, sobriety checkpoints, decoy operations and more. But, could more be done to keep impaired drivers off of the road? On Tuesday, the National Transportation Safety Board made a recommendation that states lower the legal blood alcohol concentration limit from .08 to .05 for driving a vehicle in an effort to further reduce crashes (Las Vegas Sun). In 2000, Congress passed a measure that required states to lower the legal limit to .08 by 2003 to avoid losing a portion of their federal highway construction funding. The legal limit for intoxication in Nevada has been set at .08 since 2003. The new NTSB recommendation is drawing mixed reviews from various groups and individuals across Nevada (Action News 13) but it does get people talking about the issue and draws attention to the dangers of buzzed and drunk driving. Arguments have also been made that the focus should instead be placed on tougher restrictions for repeat DUI offenders and those with BAC’s of .10 or higher. Do you think a lower legal BAC limit would help to reduce drunken driving-related crashes? 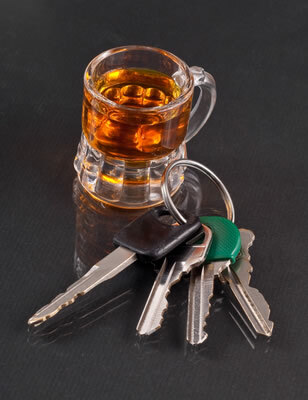 What tips would you give someone else to help prevent intoxicated individuals from getting behind the wheel of a car?